The last Queen of Hawai'i, Queen Lili'uokalani, depended upon the spiritual support of the Episcopal Church during and following the overthrow of her reign in 1893. The Missionary District of Honolulu originally included the Hawaiian Islands, as well as Guam, Okinawa, Taiwan and Kwajalein. It became the Diocese of Hawai'i in 1969 and now consists solely of the State of Hawai'i. The Diocese is made up of people who are native to Hawai'i and from everywhere else in the world who worship according to the Book of Common Prayer, 1979. 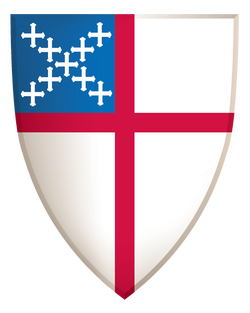 Even though we are Episcopalians, our friends and other members of our families may worship as Roman Catholics, in a variety of Protestant faiths, as well as Buddhists, Shintoists, Mormons, Jews, Hindus and in traditional Hawaiian and other native ways. We hold our cultural and religious variety in respect. Worship in the Diocese fits the heritage, language and experience of the parishioners. Congregations in the Diocese have formed based on various ethnic groups, such as Hawaiian, Chinese, Filipino, Japanese and Korean. The Eucharist is celebrated regularly in Hawaiian, complete with Hawaiian language hymns. The Diocese celebrates annually, King Kamehameha IV and Queen Emma Day —the Feast of the Holy Sovereigns —on November 28. During November, churches around the Diocese will be planning special services for the Feast of the Holy Sovereigns, honoring King Kamehameha IV and Queen Emma. The feast day, celebrates the King and Queen who brought the Anglican Church to Hawai'i, and left an enduring legacy of community service that continues to lift the human spirit, mind and body. ​The Rev. Moki Hino and Dixie Kaetsu from Holy Apostles Episcopal Church in Hilo, produced a wonderful film entitled Pūlama, in which people from around the Diocese shared personal thoughts about the royal couple and the impact they had and continue to have throughout the islands. Hino and Kaetsu traveled to each of the main islands to conduct the interviews, which were then beautifully interwoven with prayer and reflections. Funded through a Diocesan grant, the video is created for all to view and share as we pay homage to our King and Queen in November. This is a section of the beautiful stained glass window at The Cathedral of St. Andrew in Honolulu. It depicts the arrival of Thomas Nettleship Staley, received by King Kamehameha IV and Queen Emma. Staley was appointed the first Bishop of Hawai'i in 1862. Celebrating 150 Years in Hawai'i: Beginning in September 2012, the Diocese of Hawai'i celebrated its sesquicentennial - 150th anniversary - with special events on all of the islands. The "main event" coincided with the Annual Meeting of Convention on November 9-11, 2012, and brought our Presiding Bishop, the Most Rev. Katharine Jefferts Schori to the islands. Also invited were the Diocese's former Bishops as well as dignitaries from our state, the country and the world. To view photos and read more about the Sesquicentennial, click HERE.